Cocktail recipes are so much fun to share with friends. This Malibu Earl Gray Paradise Punch is a great drink to share with friends. It combines traditional Earl Grey Tea (will Delight your English buddies) and Malibu original rum for a refreshing summer time drink. When the weather starts to heat up in the spring, we really start entertaining in earnest. It’s fun to have a big picture of something spiked to get the party off to a good start. What is your favorite alcoholic tea drink? Please leave your ideas in the comments section below. 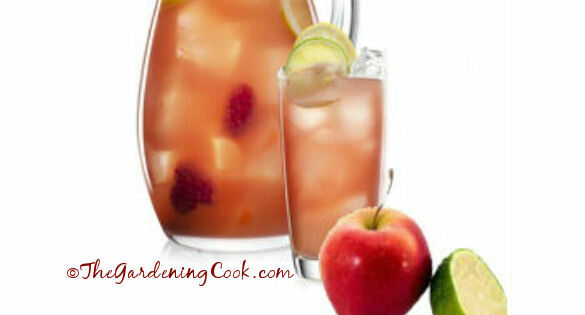 For mom drinks and cocktails, be sure to visit my Pinterest Gardening Cook Cocktail board. 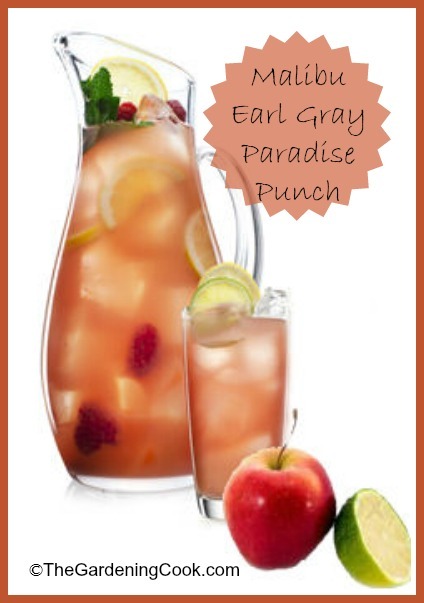 This Malibu Earl Gray Paradise Punch is a great drink to share with friends. Muddle the raspberries with pestle by pressing them in the bottom of a glass, and then add the rest of the ingredients.